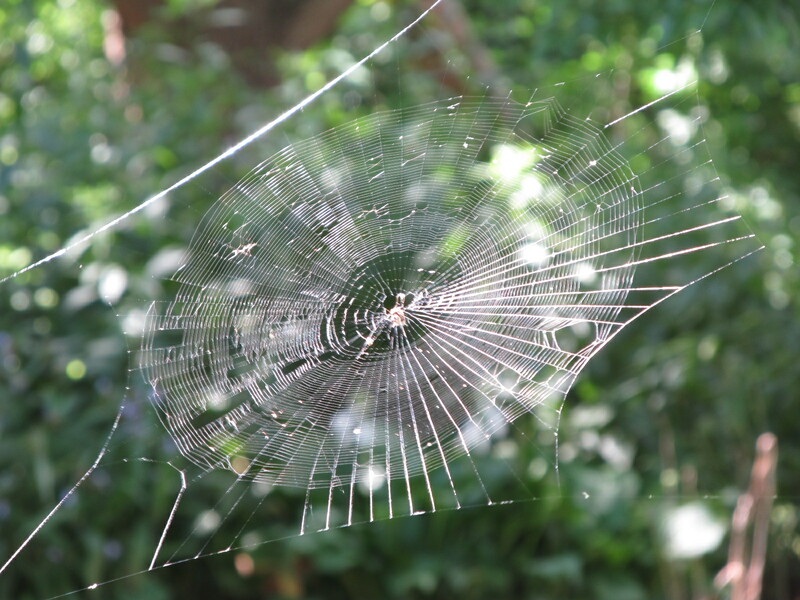 Conditions were just right (on August 11) for this spiderweb to show from a distance. 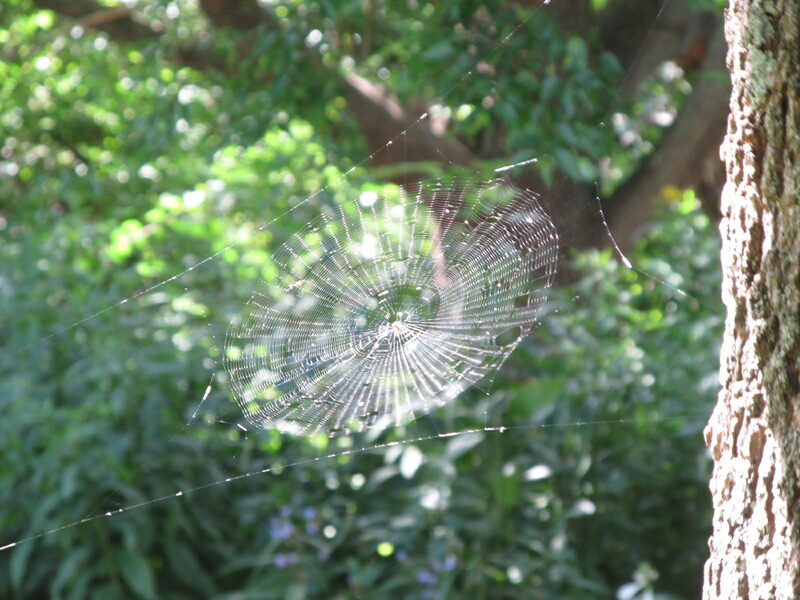 I moved closer to better show its intricate details. 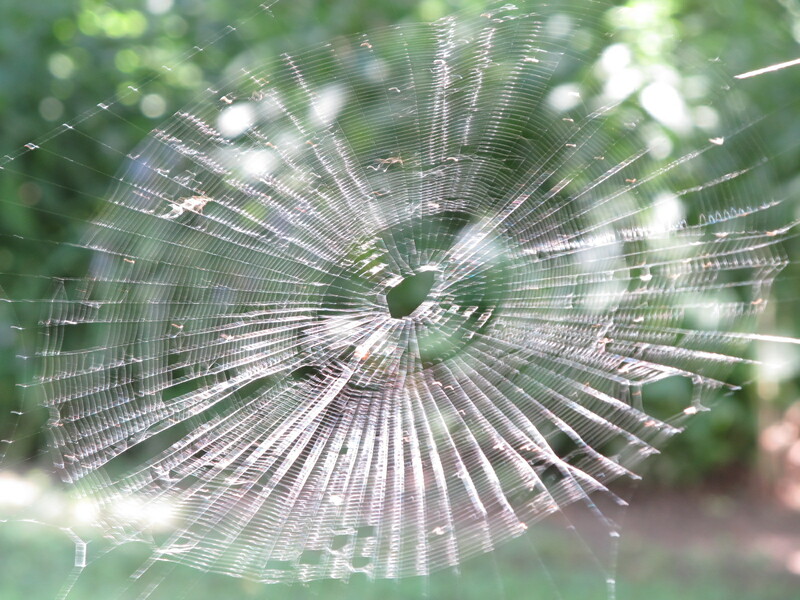 The web’s movement turned the “spokes” into narrow ribbons.